Phone Number: To get in touch with Boost Mobile Live Customer Service, call 866-402-7366. You can also email them at crboost@sprint.com. How to Speak to a Live Person: Call the toll free number 866-402-7366. Then, enter your 10 digits Boost Mobile Number, then press 0, then press 2. 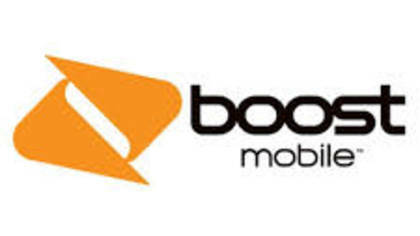 I have been a Boost Mobile customer for about five months. For the past three days, I have gotten a signal on my phone that says (after trying to make a call): "Mobile Network Not Available." No matter what town I go into, I get the same result. So yesterday, I called one of the customer service numbers (the 866-402-7366 numbers from a PAY PHONE), but NO ONE ANSWERED, even though I let it ring for a few minutes. Today, I did the same thing from a pay phone but I tried both "customer service" numbers (the 866 402-7366 & 888-266-7848). In BOTH cases, there was no answer, even though I let the phone ring for several minutes. The customer service at Boost Mobile is about as bad as it gets. Never mind I have NO reception inside my apartment--I have to step outside to make phone calls. I have had NO phone service for three days, and texts? They just swirl around in my phone NOT sent, however. So my review? ZERO STARS.